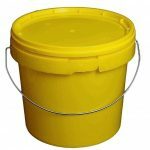 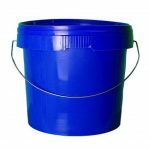 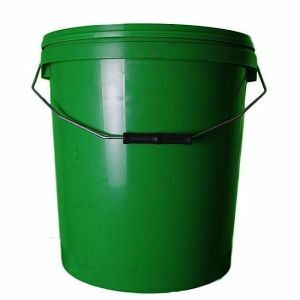 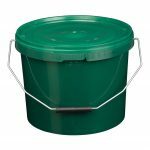 Large 20 litre green plastic bucket with tamper-evident lid and metal handle. 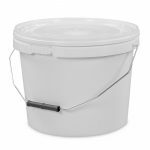 Strong and sturdy plastic container, tough enough to store the most sensitive products. Very popular colour with broad range of industrial, commercial and agricultural clients.